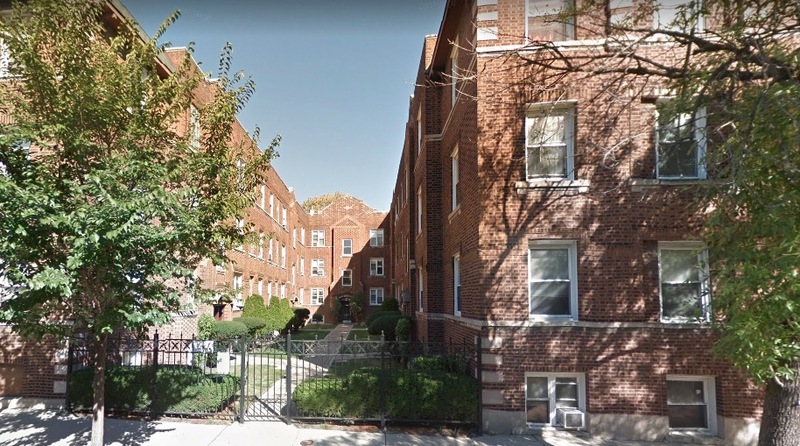 A Lakeview woman was pepper-sprayed and robbed in the courtyard of her apartment building early Friday, police said. The offender then ran through the neighborhood, leaving behind her purse, credit cards, and phone—taking only the woman’s cash, according to cops. The attack unfolded in the courtyard of an apartment complex in the 600 block of West Oakdale around 1:20 a.m. The woman was sprayed in the eyes with chemical and robbed of her purse. Police later located the woman’s phone in the 400 block of West Barry. Her purse and wallet were subsequently found in the 500 block of West Wellington. The only thing missing was her cash. Officers on the scene said they believe the offender fled east on Oakdale, north on Broadway, and then east on Wellington after the crime. The robber is described as a black man in his 20’s with short dreadlocks. He stands about 5’7” tall, is thin, and wore dark clothing, police said. Friday's mugging was the second in the immediate area in which the robber intentionally abandoned the victim’s phone in the minutes after the crime. In both cases, police tactical teams had swarmed the robbery area in search of the offenders. Around 9 p.m. on Wednesday, a woman was pushed against the door of a Red Line train and robbed of her phone at the Belmont CTA station. The offender fled eastbound on Belmont, then north on Wilton, according to witnesses. Phone tracking determined that he made his way to the 1300 block of West Belmont, where he ran south on Lakewood before shedding his shirt and abandoning the woman’s phone in the 1300 block of Barry, according to police. That suspect was described as a black male between 16- and 25-years-old, with very short hair. He was wearing a long-sleeve blue and orange shirt before he took it off at Lakewood and Barry around 9:15 p.m. on Wednesday.